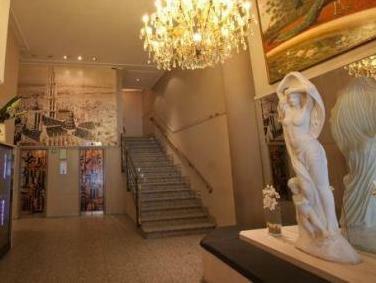 ﻿ Century Hotel Antwerpen Centrum Antwerp. JIMAT di Agoda.com! Century Hotel menawarkan bilik-bilik dengan TV skrin rata di bangunan bersejarah yang telah dipulihara dengan ciri-ciri asal. Ia terletak bertentangan dengan Stesen Kereta Api Antwerp Central. Ia mendapat faedah dari WiFi percuma, bar dan kaunter penerimaan tetamu 24 jam. Meja kerja merupakan standard di bilik-bilik di Century. Setiap bilik tetamu juga mempunyai bilik mandi peribadi. Bufet sarapan yang pelbagai disajikan setiap pagi. Restoran Curnonsky menyajikan masakan yang moden di ruang makan yang menawarkan pemandangan hadapan stesen Art Nouveau. Para tetamu juga boleh menikmati bir Belgium tempatan di bar. Hotel Century berjarak hanya 200 meter dari Zoo Antwerp. Hentian trem Centraal terletak 100 meter jauhnya dan menyediakan perkhidmatan terus ke pusat bersejarah dalam 5 minit. Kawasan beli-belah Keyserlei dan Meir terletak kurang 5 minit berjalan kaki jauhnya. Para tetamu mendapat faedah daripada diskaun sebanyak 25% untuk kadar harga letak kenderaan ketika meletakkan kereta mereka di tempat letak kenderaan awam Q-Park Astrid. Ia terletak 100 meter dari Century Hotel. Para tetamu diminta untuk menghubungi pihak hotel melalui telefon jika mereka menjangkakan untuk tiba selepas jam 18:00. The location across form the train station makes this a great choice. The staff were friendly and accessible. The facilities were basic but sufficient. We will certainly stay their again if the opportunity presents itself. Good standard hotel.Basic breakfast.Hotel needs a bit of work including cleaning the smelly dirty hall carpets and general maintance.Staff seem unhappy.Very conveniently located next to a lovely station. The staff was super friendly, and after our stay we could leave our luggage until we left the city later that day free of charge. Also, the location is great, literally across the street from the central station and close to the zoo (you can even hear the elephants trumpet at times!). Breakfast was really tasty, there were lots of fresh options. The room was clean and tidy, and large enough to stay 2 nights. Beds were OK, a bit worn in some places but still comfortable enough. However, there were at least 10 mosquitos in our room because housekeeping left the window open and the heater was fully on. This may just have been the time of the year (end of September) but still made the end of the trip quite itchy. The hotel's location is excellent, as it's just across the central station and there are a lot of restaurants nearby. Main attractions are just 12-20 minutes away on foot. The staff are generally good and speak English well. However, rooms don't have air conditioning. Personally, I didn't find this an issue. The hotel can also lend you a small electric fan to cool your room. But if you stay here in the summer when temperatures can get hot, then you may have to consider staying someplace else. Toiletries included only small bars of soap and sachets of all-in-one shampoo and body wash. Overall, I'd still stay in this hotel. It's a good base for a stay in Belgium, and you could easily take a train for day trips to Brussels and Bruges. Stayed here for tomorrowland - was super glad to get a booking at such late notice. 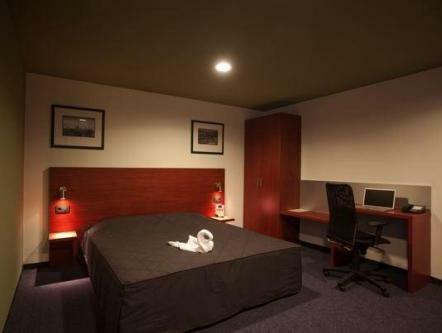 It's directly opposite the train station, the entrance isnt impressive by any measure, but it is convenient to get to, and the room was clean. Staff were pleasant and helpful even though they were busy. My gripe was that it had little natural ventilation, no air con and one had to borrow a fan from the front counter (they didn't have enough for every room, so it was good that we got one!). The room is not very bright and the table is placed oddly near the toilet. But the toilet was clean and worked well. The buffet breakfast included was well-stocked with breads, cold cuts, lots of spreads, yoghurts and cereal. All in all, I enjoyed our stay, and you can always wander downstairs to buy diamonds on a whim. There was absolutely no air conditioning or even a old fashion vent channel, and windows wouldn't open except for tiny the 1 inch opening at the top which couldn't do any good, definitely not a good place to stay when it is hot (by than I mean above 25C). my room was like a prison cell with no open window. I hardly could fall sleep. In the Bathroom there were only two supper small Shampoo plastic packs by size of 50cc or maybe less which was not event funny! you would expect a 3 star hotel to at least give you decent amount of shampoo for 2 baths per day, plus no facial tissue of any kind just toilet tissue. 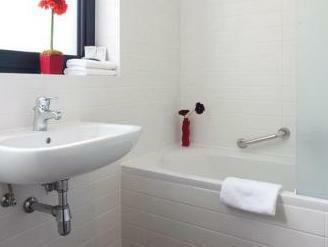 Excellent throughout central location. Breakfast was plentiful and fresh. Location is perfect. Room is outdated and the wall is damaged. Floor is dirty and there is dust everywhere. Bedding is clean. Recommended for just one night. Very outdated, dust everywhere, bathtub dirty as well. Bedding is clean. Environment very noisy. The hotel staff were very friendly and helpful. The location is this hotels best draw card as it is directly opposite the central station and convenient to all the major sights/ shops. Definitely recommend. I arrived in the early hours, around 06.30, to the hotel. Hoping to get a room early. At around 08.00 a new receptionist arrived. He was explained the problem. But again... this was my problem. I told him in polite, but very clear that this was a bad way to receive a guest who was booked in for 4 nights. He was nice, made an apology to me, and gave me a room right away. Still it was annoying to wait for three hours before being beeing accepted as a guest. Accept for this... a acceptable standard on room and breakfast. Very convenient, directly opposite of the Antwerp Central. Clean, but very dated. Teh Staff is very Friendly, and able to help and advise on what I can do in Antwerp. we were two of us and got a small basic room but clean. location is great, just few steps from the station and the main street towards the historic place. the staffs are friendly and helpful and greeted us always. bathrooms are clean, heater works just fine and kept us warm. bed and pillows are comfortable. but the room have thin walls and there were a couple arguing till after midnight somewhere in another room not next to us but somewhere nearby and we could here all the words.albeit we couldnt understand its on another language. 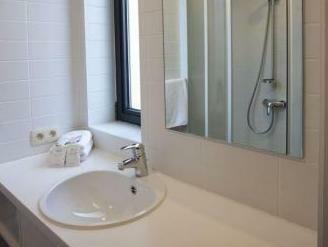 Hotel is located right outside Antwerp Central, which is very convenient. Main street is a few minutes walk and has lots of food and shopping. 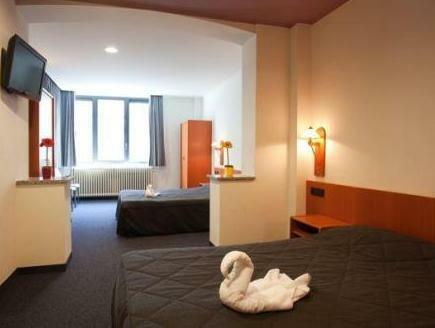 The rooms were very clean and of high standard. Definitely recommended! My stay at the Century Hotel verified reviews written by other travellers. Yes, the hotel is ideally situated for train travellers; and, yes the breakfast buffet is of a good standard. I did enjoy watching BBC One, especially the weather reports as it was cold, windy and raining, with snow flurries, during my stay in Belgium. My road-side room had a lot of noise from traffic and pedestrians on the Saturday night of my stay. Noise within the hotel is an issue; other travellers have also experienced this. My room had two single beds pushed together. I found the mattresses far too soft for a restful night's sleep. Lastly, the attitude of the staff at the front desk was not welcoming. There were no greetings at all during my three-night stay. On my departure, there was no farewell. My experiences reflected the reviews of the Century Hotel that I had read by other travellers. room is clean and adequate for few nights stay. checking in and out was a breeze. as mentioned, location is great and good for day trips to brussels, amsterdam etc. wi-fi in hotel is good. breakfast is simple with spread of bread, hams, cheese, jam, cereal, yogurt etc but more than sufficient to start the day. hotel is also near the diamond shopping area and is within walking distance to places of interest in atwerp such as grote markt, cathedral of our lady etc.